Miss 2059 is a 10 minute scripted science-fiction television series, which kicked off on June 21, 2016, on go90 and is broadcast every Wednesday at . The show is currently in its 2nd season. 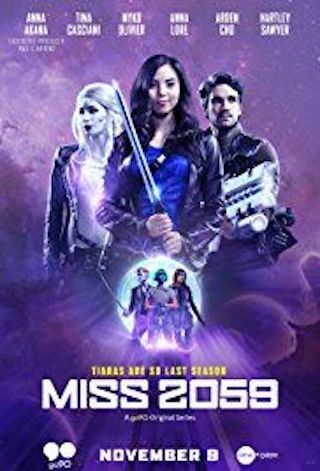 go90 is yet to announce the renewal of Miss 2059 for Season 3 as well as its cancelation. Sign up to track down the show's status and its release date. In the year 2059, beauty queen Victoria Young is tired of living in the shadow of her sister, a world famous military hero. But when Victoria is mistakenly beamed into space in her sister's place, she finds herself representing Earth in a deadly galactic tournament with the fate of the world hanging in the balance.